Mather Campground is pretty much right in the thick of things on the south rim of the Grand Canyon. Within walking distance of the south rim, Mather boasts 317 campsites, a shower and laundry facility as well as a general store, restaurants, gift shops and a nice visitors center. With 4.5 million people visiting the Grand Canyon, reservations are almost a must and can be made five months in advance. Reservations during the winter months (December - March) are not taken and the campground is on a first-come, first-served basis. 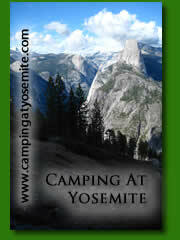 There is a maximum of two vehicles, six people, three tents are allowed per site. Also, any vehicle towing another vehicle such as a pop-up tent trailer or a motorhome towing a car is considered two vehicles. From the south entrance follow the road for about three miles to the stoplights, turn left onto Center Road. Travel ¼ mile; turn right onto Market Plaza Road. The campground is about one mile down Market Plaza Road on the right. From the east entrance follow the road 25 miles, turn left at the "T" intersection onto South Entrance Road. Travel about ½ mile to the stoplights and turn right onto Center Road. Travel ¼ mile; turn right onto Market Plaza Road. The campground is about one mile down Market Plaza Road on the right.